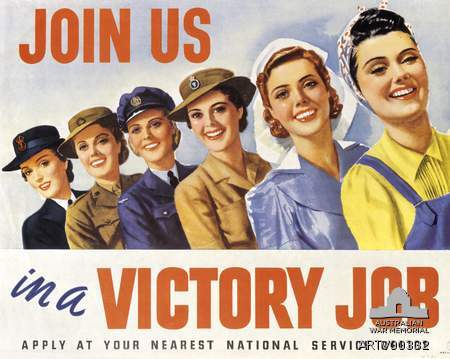 Brightly coloured recruitment posters encouraged young women to join up and more than 66,000 of them enlisted in the three services – Army, Navy and Air Force. They made up just under 7% of the nearly 1 million Australians who served. 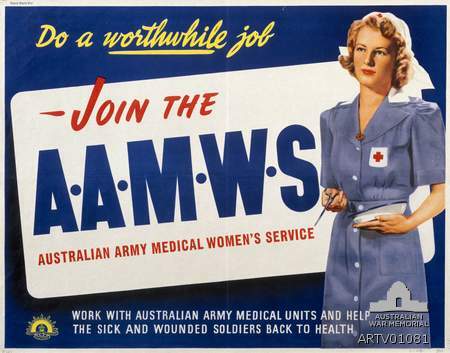 In December 1942, the Australian Army Medical Women’s Service (AAMWS) was established and members served as nursing aides alongside army nurses. 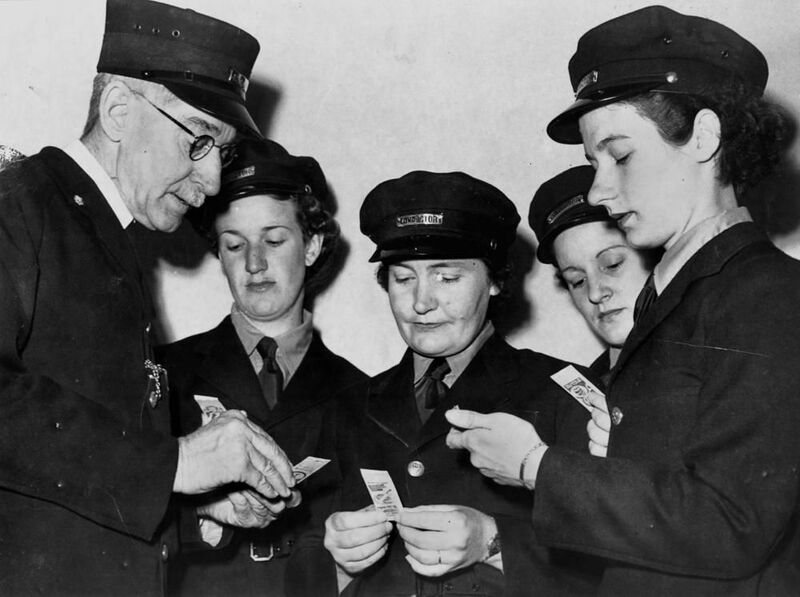 The first women to be recruited into the WRANS were volunteers from the Women’s Emergency Signalling Corps (WESC). 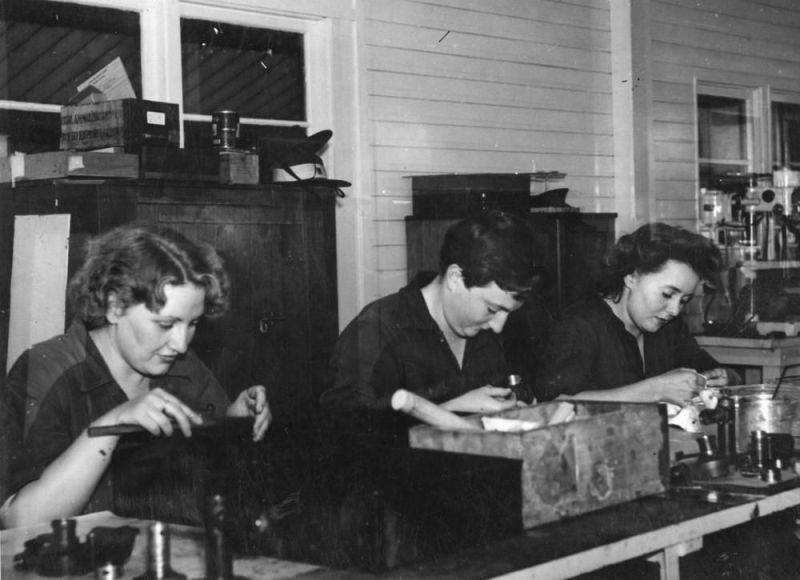 Employed as telegraphists and based at naval stations around Australia, they were part of a wider team of signallers, coders, wireless transmitter operators, cipher clerks, telephonists, couriers, cooks, stewardesses and drivers. WRANS were not allowed to work either outside Australia or on ships at sea and their pay rates fluctuated during the war. They normally received about two thirds of the amount paid to other RAN personnel. The service was disbanded at the end of World War II and it was not until 1983 that women were permitted to serve in ships. 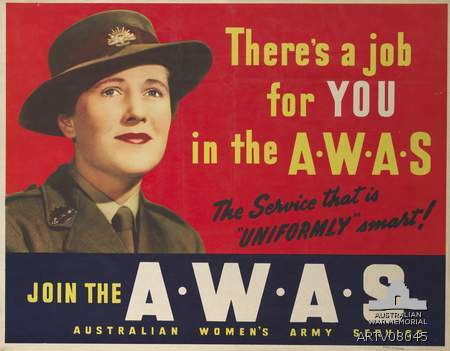 On 13 August 1941, the Government authorised the formation of the Australian Women's Army Service (AWAS). 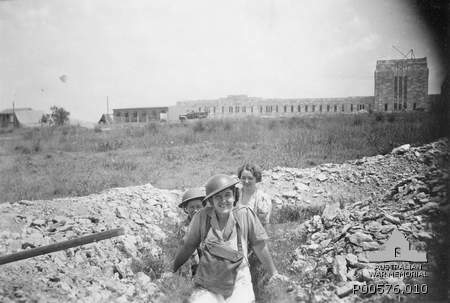 More than 24,000 eventually served in the AWAS, the only non-medical women's service to allow personnel overseas during the war. 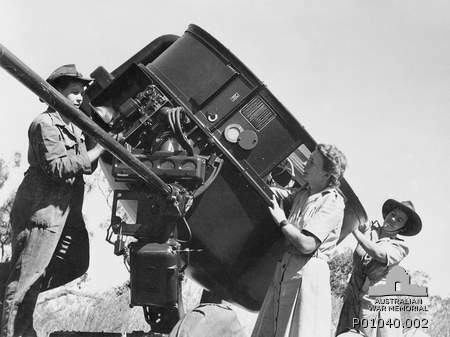 Initially the women performed essentially domestic or non-specialist tasks – like the WRANS and the WAAAFS – but they soon spread into other areas and served in signals and ordnance work. 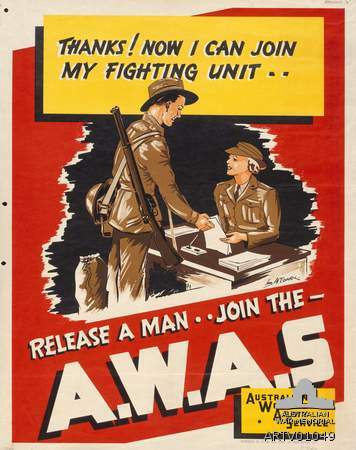 Almost 3600 AWAS members served with Royal Australian Artillery formations on searchlight, coastal defence and anti-aircraft batteries and they often worked in very isolated areas. 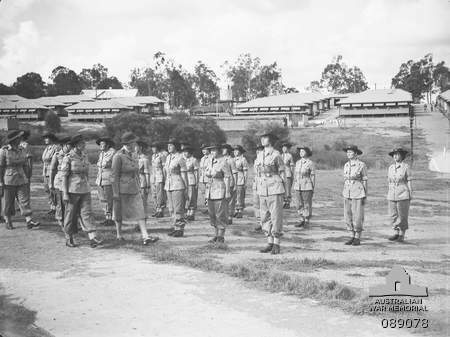 Having a wide range of jobs, more than any other women’s services, the Australian Government finally agreed to send about 500 AWAS personnel overseas to serve in New Guinea in 1944. 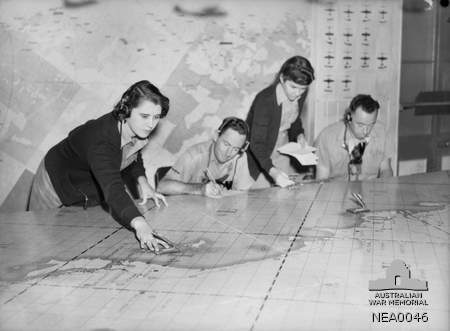 The Women’s Auxiliary Australian Air Force (WAAAF) was the first and the largest of the three women’s services formed during War II. 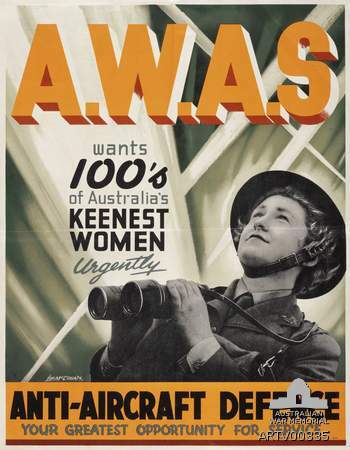 Between 1941 and 1946, almost 27,000 women enlisted in the Air Force as members of either the Royal Australian Air Force Nursing Service (RAAFNS) or the Women’s Auxiliary Australian Air Force (WAAAF). 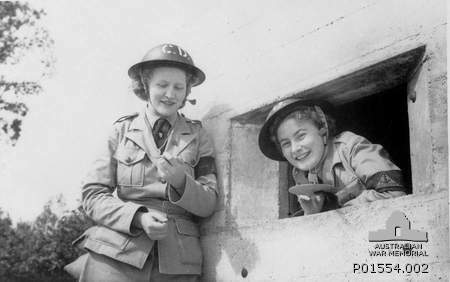 A number of the recruits were already volunteers in the Women’s Air Training Corps (WATC) and the Women’s Emergency Signalling Corps (WESC). 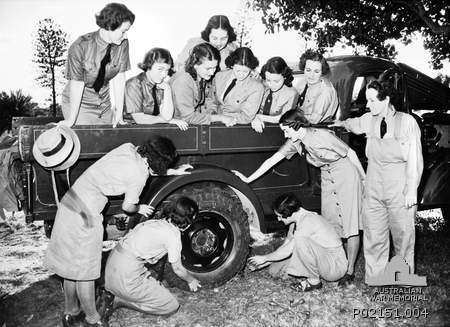 The women brought skills to the new service, although pay levels were well below their male counterparts. They were paid approximately two-thirds the rate of the men. 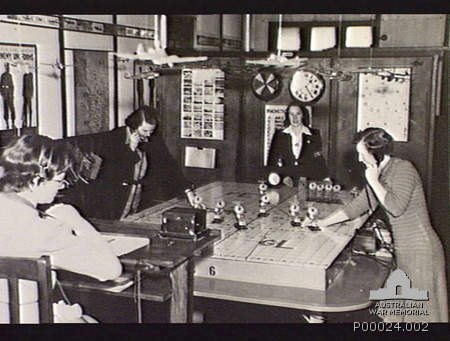 The women in the WAAAF also worked in more than 70 positions alongside airmen in Air Force hangars, stores depots, radar and signals sections, operations rooms, kitchens, messes and offices. 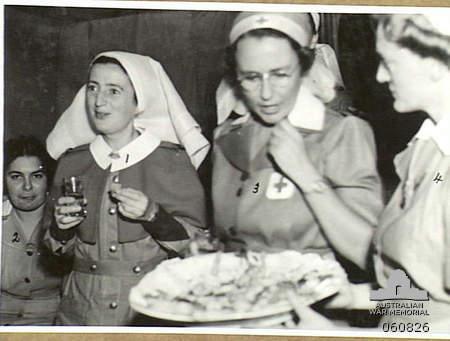 Members were posted to bases throughout Australia but unlike their nursing colleagues in the RAAF Nursing Service, they were never permitted to serve overseas. 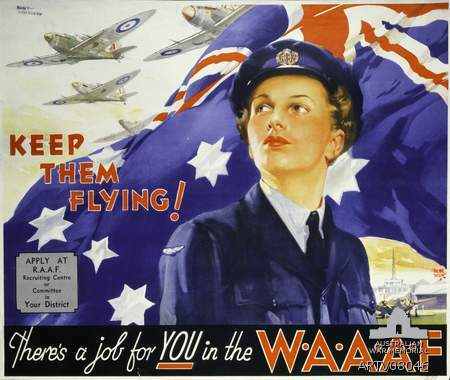 The WAAAF was disbanded in 1947 and reconstituted as the Women’s Royal Australian Air Force (WRAAF) in 1951. The WRAAF and the RAAFNS were integrated into the RAAF in 1977. 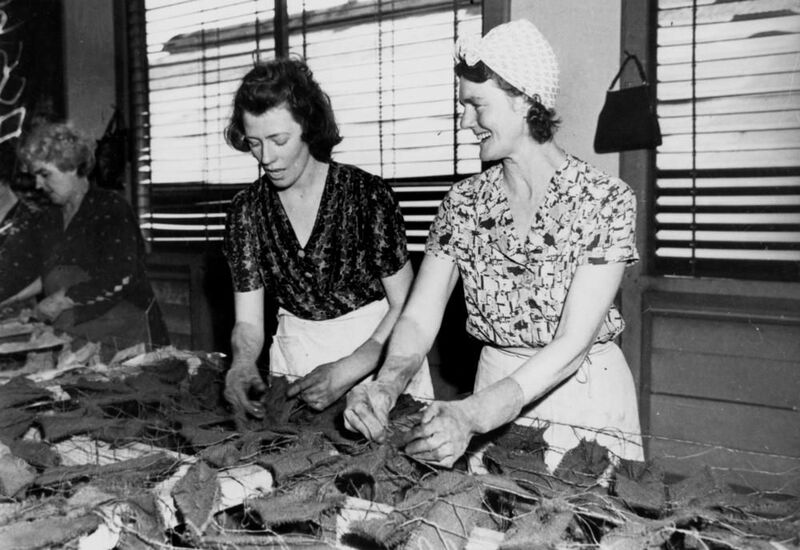 During the war, civilian organisations also attracted women in support. The Red Cross Voluntary Aid Detachment worked on hospital ships and in convalescent hospitals. 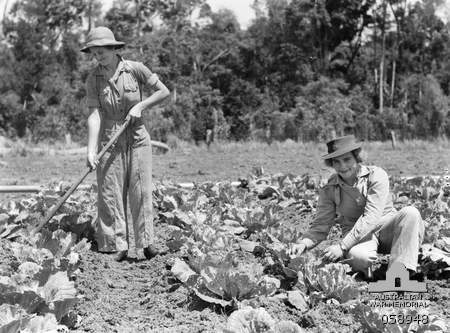 Others left home and joined the Australian Women’s Land Army (AWLA), where they grew crops and reared livestock for production. 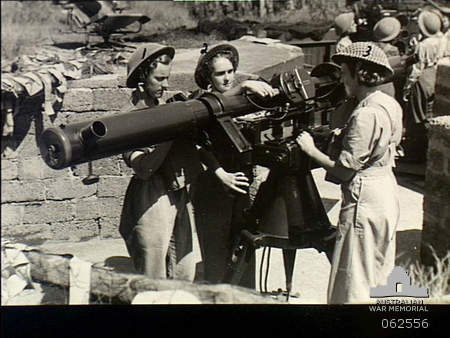 A number of other women joined entertainment groups and travelled around performing for the troops both in Australia and overseas. 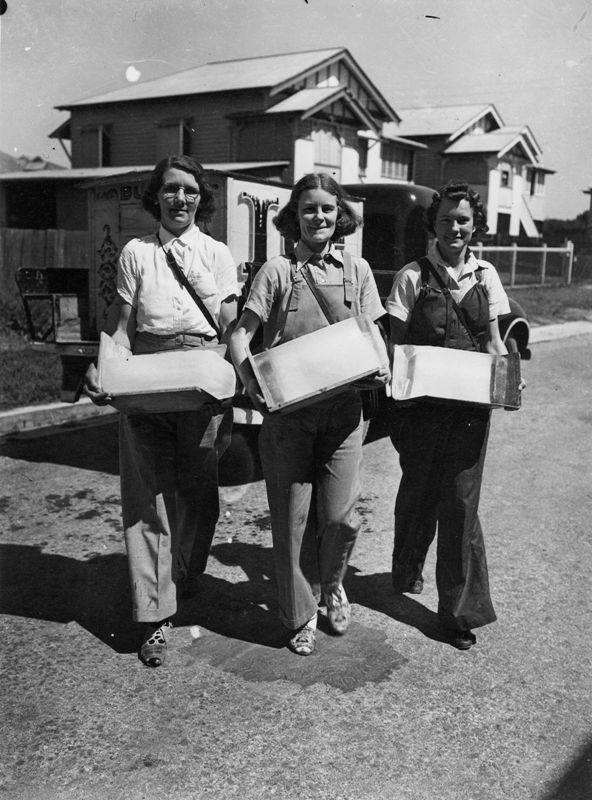 For many women unable to volunteer for the women’s services, the Women’s Australian National Services (WANS), the Women’s Air Training Corps (WATC), the Women’s Emergency Signalling Corps (WESC), the National Emergency Services (NES), the Red Cross and numerous other voluntary organisations, provided an outlet for their desire to do something for the war effort. 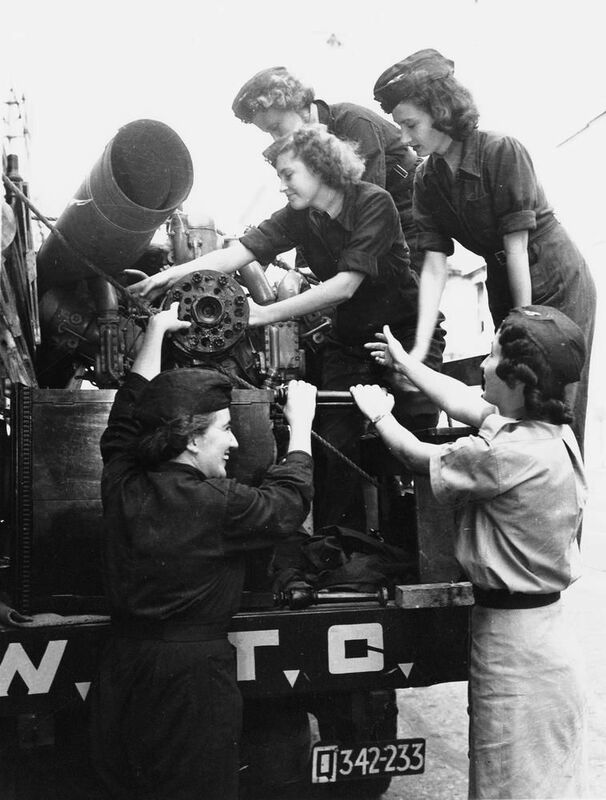 Those women in ‘essential’ occupations such as munitions work were also restricted from joining. For the wives, mothers, sisters and friends who remained in Australia, the thoughts of their loved ones serving abroad often in harms way, filled their minds. There was the daily struggle with rationing; fear of air raids in some centres; and the feelings of dread that their men might be killed overseas or be detained and die in POW camps. 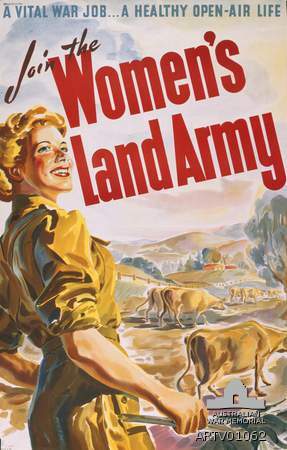 However, the Second World War assisted in changing the public face and perception of women in Australian society. 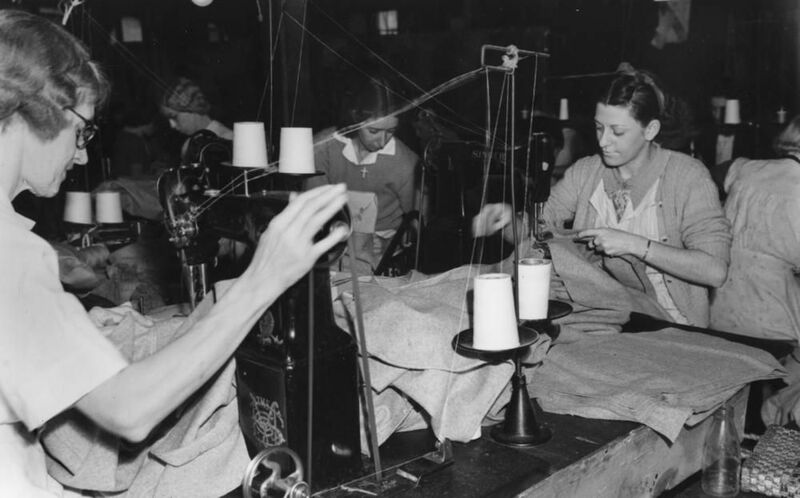 By the war’s end, they were seen as equally as capable in providing essential and technical services as the men, however the average wage remained far below their male colleagues. 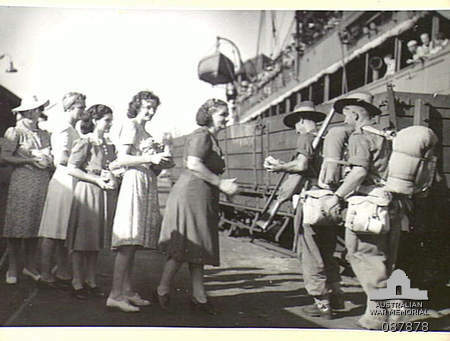 The entry of the United States into the war brought with it new and exciting experiences for the everyday Australian woman. 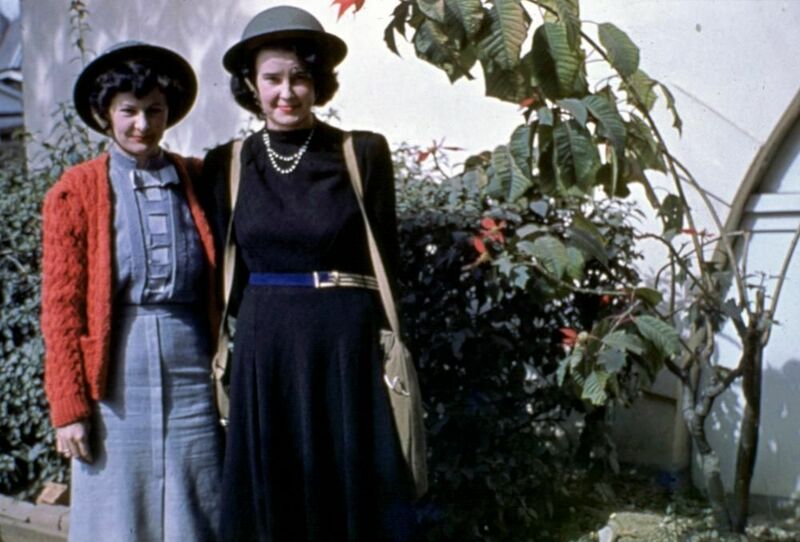 With the Australian Forces serving in the Middle East, the Americans offered style, glamour and excitement that the Australian troops struggled to offer. The 'Yanks' were better paid and supplied, bringing with them products that were hard to come by. Many young women fell to the charms of the US serviceman.